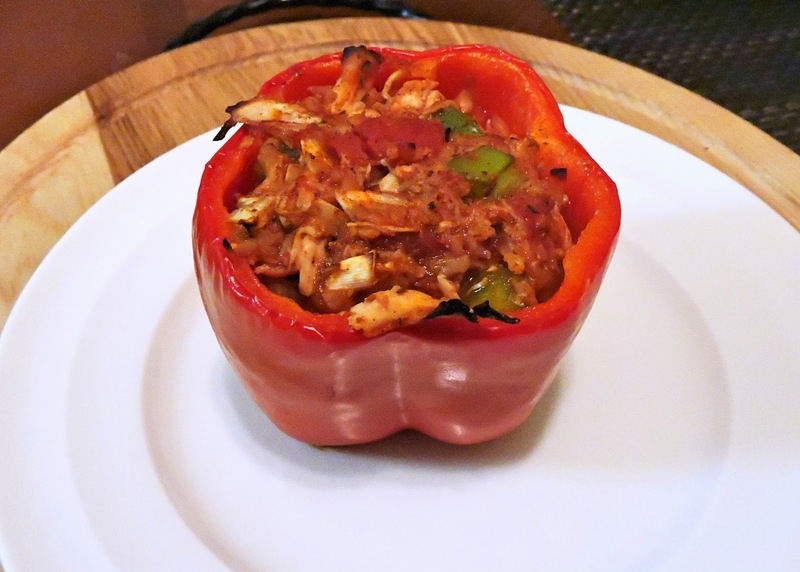 Stuffed bell peppers make a super versatile dish, perfect for Paleo eaters. Mix up whatever filling you'd like, with meat & vegetables of your choice, cut open some peppers, and bake 'em. For this recipe, I chose to go with an "enchilada" flavor profile. I added the spices I would use for a red enchilada sauce, then combined it with tomatoes, green bell peppers, and cauliflower rice to bulk it up a bit. I decided to shred up rotisserie chicken for this dish since we had one on hand- but you could easily grill up your own chicken for shredding. Feel free to switch up the spices and try other meats (ground beef would be good too!) 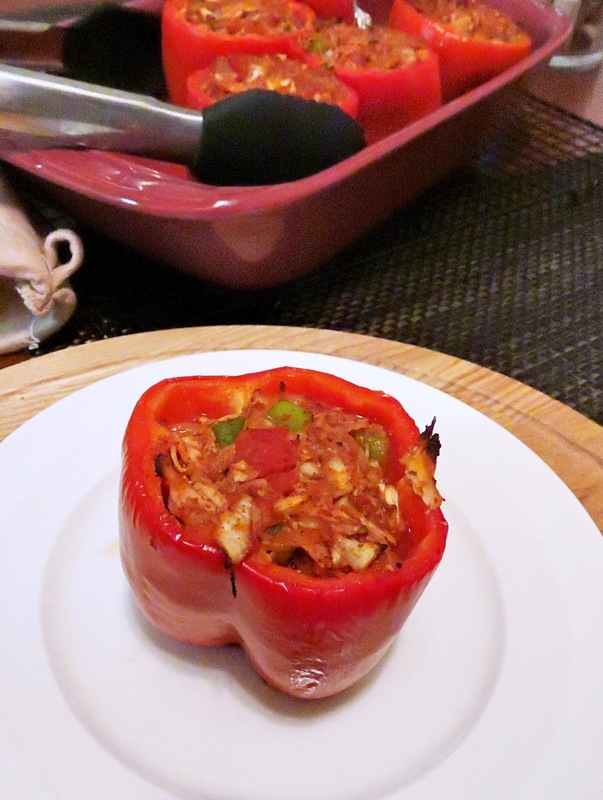 to create your own stuffed pepper combo, then use the cooking directions here as a guide. Combine the remaining ingredients in a large bowl & give it a good mix. Scoop the filling into the bell peppers, and place them in a large casserole dish. Bake uncovered for 40 minutes, or until the tops are lightly browned and the filling is heated through. The bell peppers should be slightly softened. *Tip: If you're in a rush & want to speed up the cooking time, heat your filling in the microwave for a couple of minutes before baking. Just began my Whole 30 journey on Sunday. Was looking for a quick, easy and tasty dinner for tonight and it looks like I've found it!